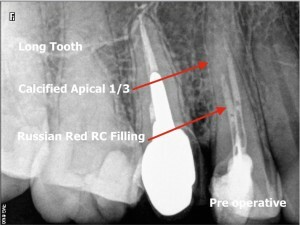 Due to the presence of rock hard Russian Red filling material in its root canal, the endodontic revision procedure to save her tooth seemed to be too difficult or too risky for the former practitioner to perform, consequently, patient has been offered a surgery to extract this maxillary premolar and to replace it by a dental implant. 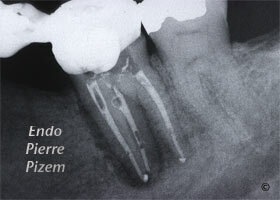 Still, patient would rather save her own tooth and asked for a second opinion. 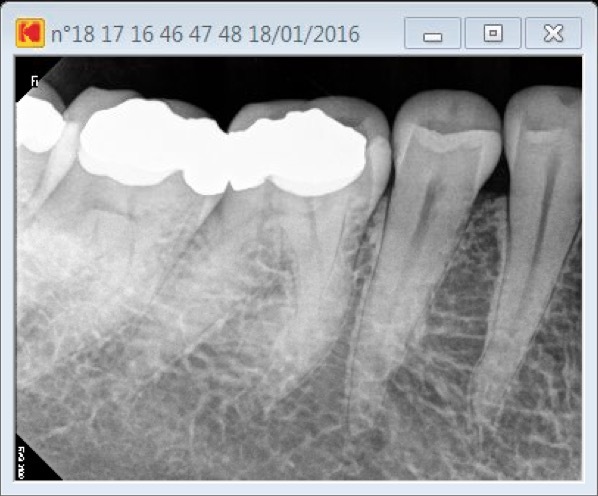 Patient has been explained that this tooth periodontal prognosis is excellent, it is restorable and that its endodontic prognosis is solely linked to the difficulty of the case at hand. 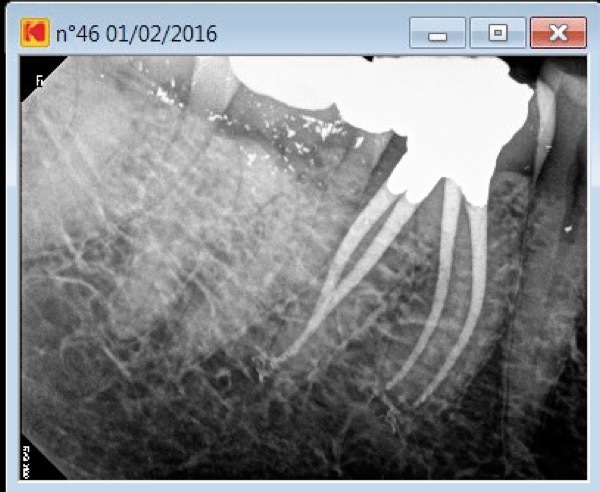 All it would take to preserve her tooth would be to clean and disinfect contaminated canal area. In order to reach this contaminated area, Russian Red paste had to be retrieved then, the calcified apical third of root canal system had to be cleaned and shaped. 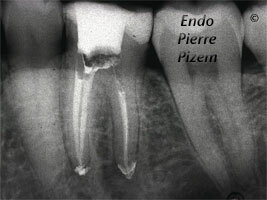 Root canal perforation and blockage risks associated with this procedure where also explained. 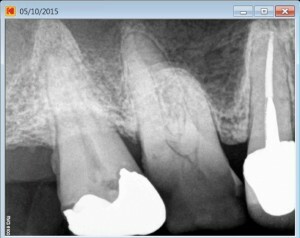 Patient choose to accept those risks. 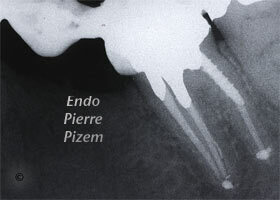 Russian Red paste has been brushed away with ultrasonic tips from Spartan under high magnification (OPMI PROergo operative microscope from Carl Zeiss) and both calcified canals were shaped and cleaned to length (25 mm long tooth) with C endodontic files, K files, Protaper Universal system and lots of chelating agent (RC Prep). Irrigation PUI with sodium hypochlorite 5%. 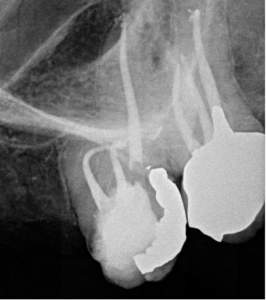 Interim Calcium hydroxide was left in root canals for 10 days, then these were subsequently filled with both Pulp Canal Sealer and single cone technique. It is sad to note that this first maxillary premolar narrowly escaped from extraction and dental implant therapy only because patient insisted on asking for a second opinion. 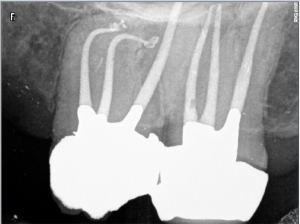 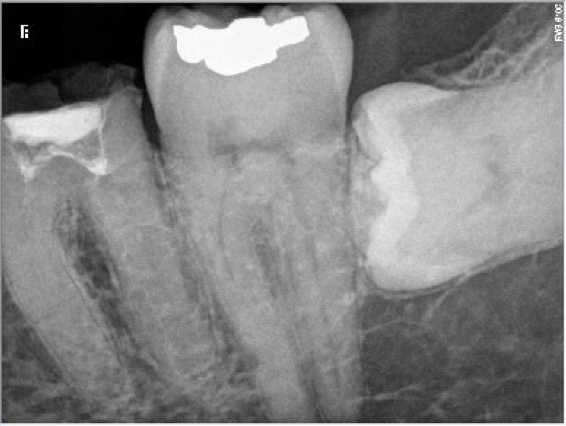 Too much calcification for a root canal treatment? This tooth is a 23XX26 leaking fixed bridge abutment. 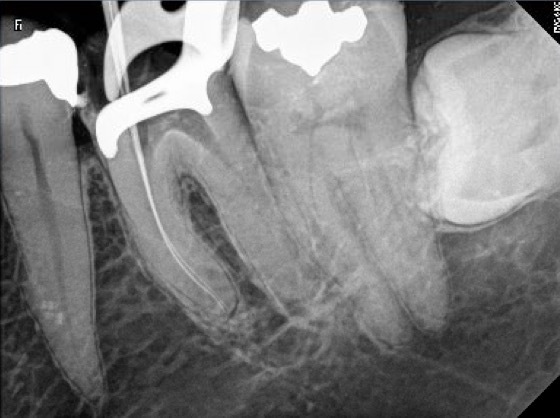 Prior to bridge replacement it needs a root canal procedure. 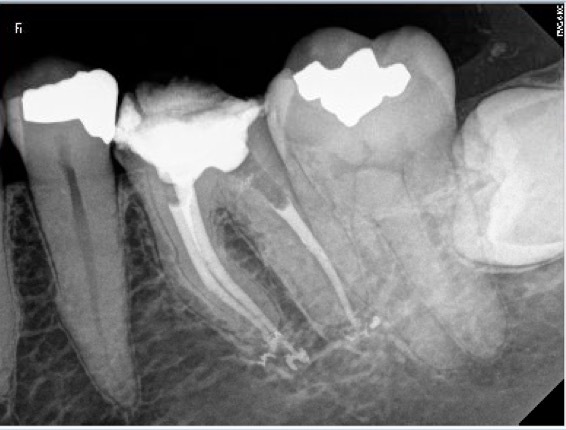 Performing a root canal procedure on an abutment showing narrow canals and a complete obliteration of the pulp chamber by a large amount of calcification represents a challenge for any dentist or endodontist. 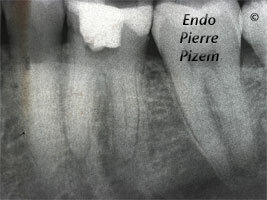 Close observation of the pulpal floor map under a dental operative microscope helps in locating root canal entries. 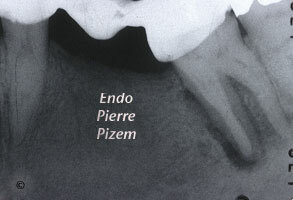 Still, this floor needs to be exposed first to be able to read the map. 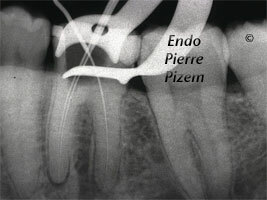 Access opening was performed with a combination of a 556 cross cut and a round tungsten carbide bur (Friction Grip). 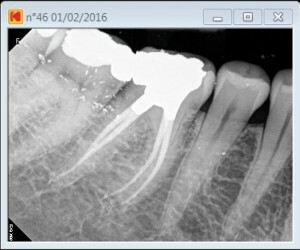 Operative field observation was enhanced with high magnification and coaxial xenon lamp illumination (Carl Zeiss OPMI PROergo dental operative microscope). Dystrophic calcifications have been removed from pulp chamber with ultrasonic diamond coated tips in order to expose the pulpal floor allowing for all canal entries location. 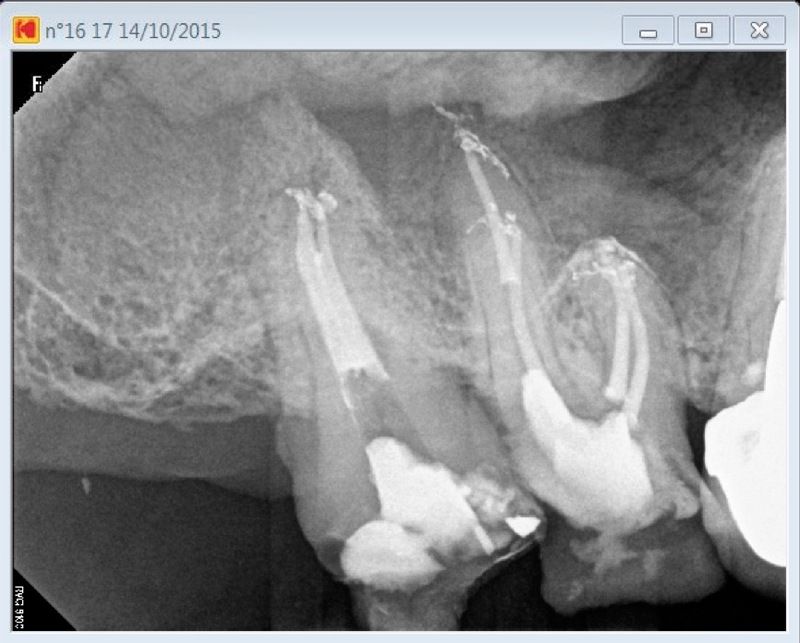 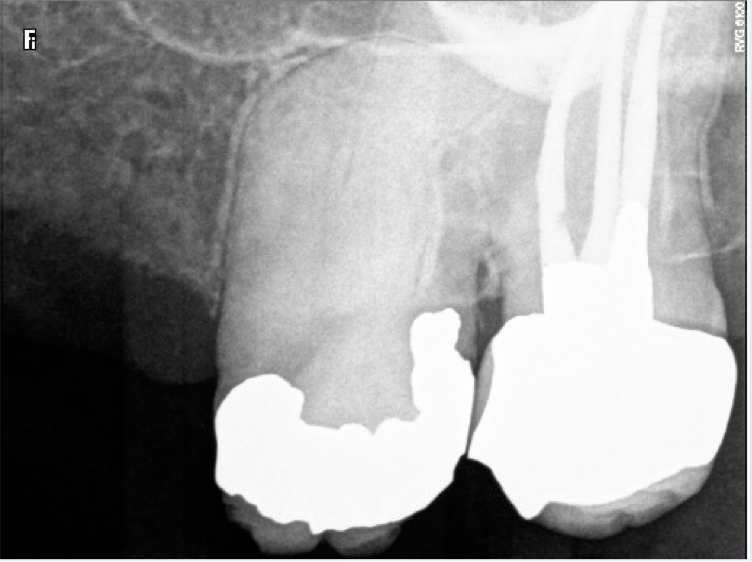 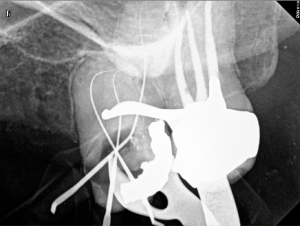 Then, lots of chelating agent as well as many stainless steel files were needed to progressively regain patency in the narrow canals. 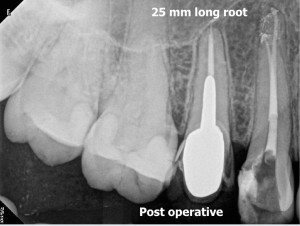 Root Canal Procedure with Surgical Operative Microscope. First appointment post operative X ray dental film shows shaped and cleaned canal system with inserted intracanal calcium hydroxide. 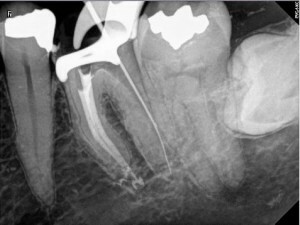 Post operative control X ray film in December 2011 shows a nice healing of surrounding hard tissues. 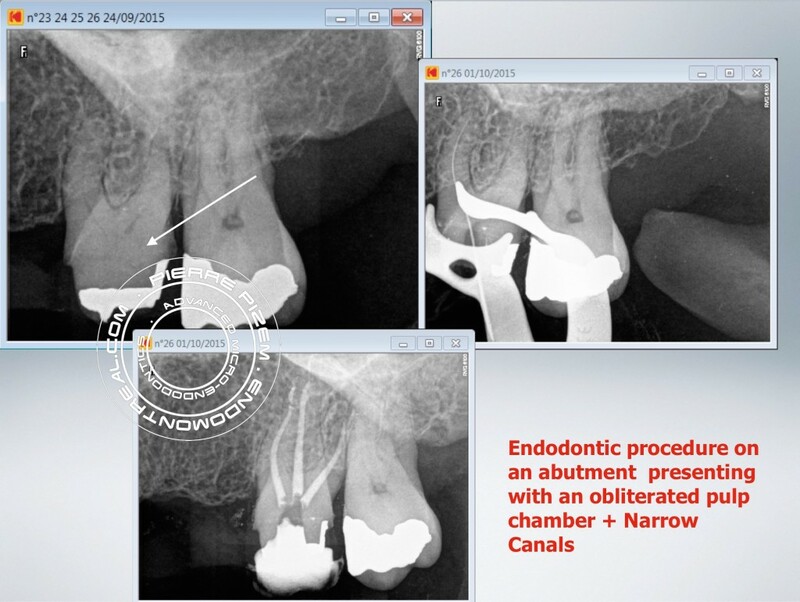 Endo treatment finished on 2007 with surgical operative microscope Opmi PROergo from Carl Zeiss.This root canal therapy attempt once more enlightens the huge advantages of microendodontics and calcium hydroxide therapy in order to save teeth with an apparent very bad prognosis. First appointment: Opening through metal bridge abutment, gaining access to pulp chamber, adherent pulpstones and embedded pulpstones removal, root canal entries locations, cleaning and shaping, rinsing, drying, intracanal medication insertion and provisional obturation material. An intricate root canal procedure, because this pre operative condition involves dealing with complete canal stenosis caused by dystrophic calcifications.